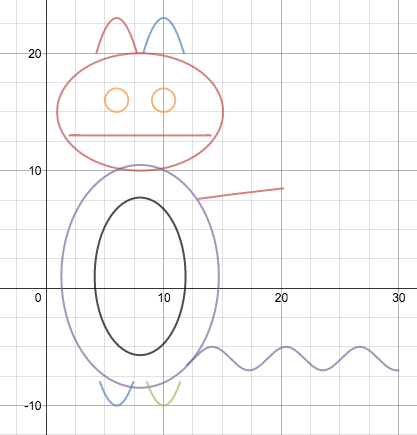 Recently I had my precalculus students complete an art project using Desmos. 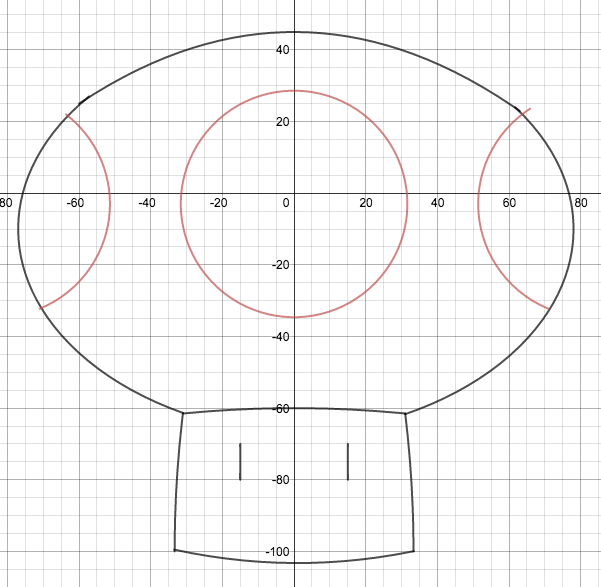 We were finishing up our unit on conic sections. I paired them up and gave them two class days and the weekend to conjure something good. They didn’t disappoint. Props to Bob Loch who helped provide the structure. The grade was based on the above criteria and how complex their artwork was. I loved this activity because it was so open ended. I usually don’t do a great job allowing my kids to showcase their creative side during class activities. I was impressed with some of the art they managed to create. 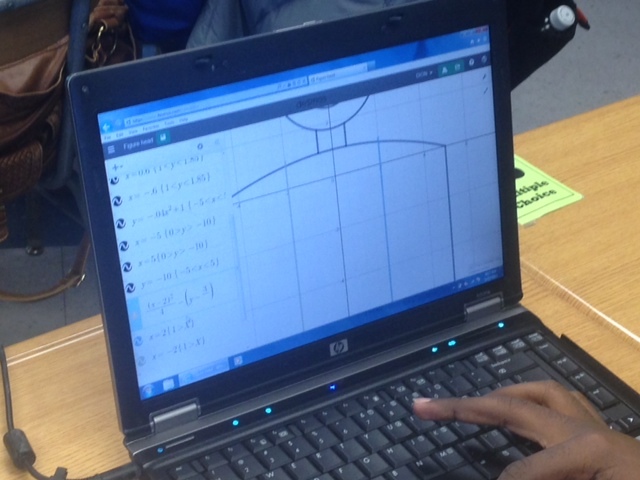 I’ve been pleasantly surprised with my increased usage of Desmos this school year. It’s an excellent tool. I literally can’t imagine teaching without it. This week in my Precal class, we were working on increasing, decreasing, and constant functions. I showed them a Graphing Story. 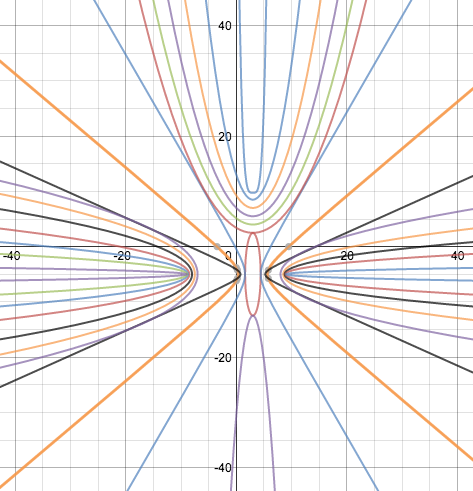 These problems are perfect for analyzing graphs of functions. I chose the one that asks the viewer to graph height vs. time based on a lady swinging on a rope in Costa Rica. If you haven’t already, first watch it for yourself here. 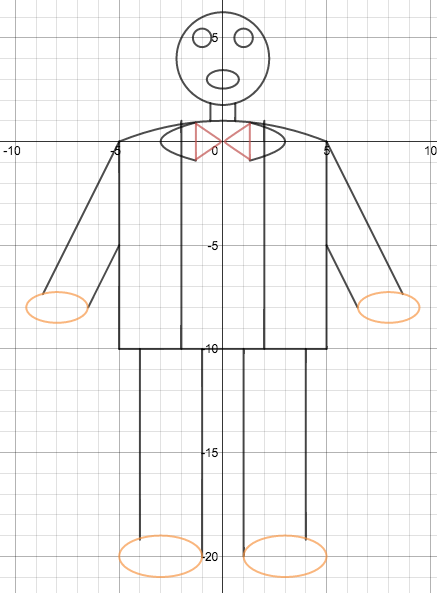 I’ve done some of the other graphing stories before and I love them. We did this one, discussed various aspects of the graph, and eventually hit on increasing, decreasing and constant intervals of the function. Its a great activity, but an interesting debate arose regarding the given answer. You notice that the answer (i.e. 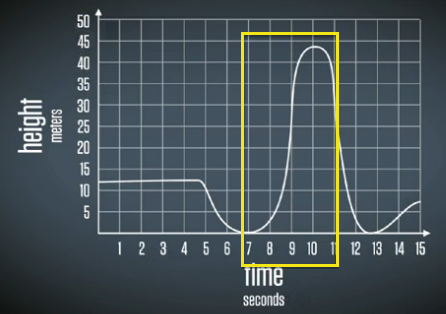 graph) has a relatively large increase during 7-10 seconds. When I initially displayed the solution to my students, they debated whether this interval was accurate. They found it intriguing that, according to the solution, she swung roughly 32 meters higher than her original height on the platform. Some of them said yes, it was possible for her to swing 44 meters in the air. 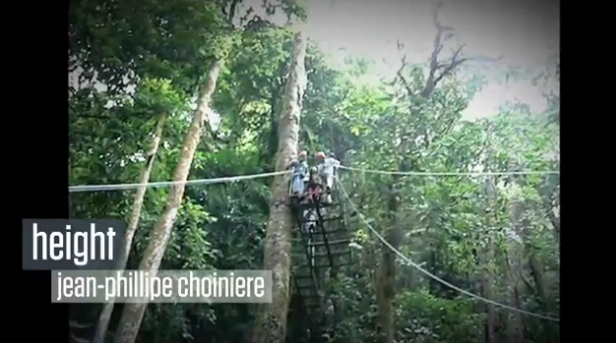 I mean, looking at the video her upswing does look VERY high – much higher than the platform she started jumped from. Some students said no, that the camera angle was playing tricks on us. It was such an awesome discussion, and to be honest, I told them I wasn’t sure about who was right, but I’d do my best to find out. 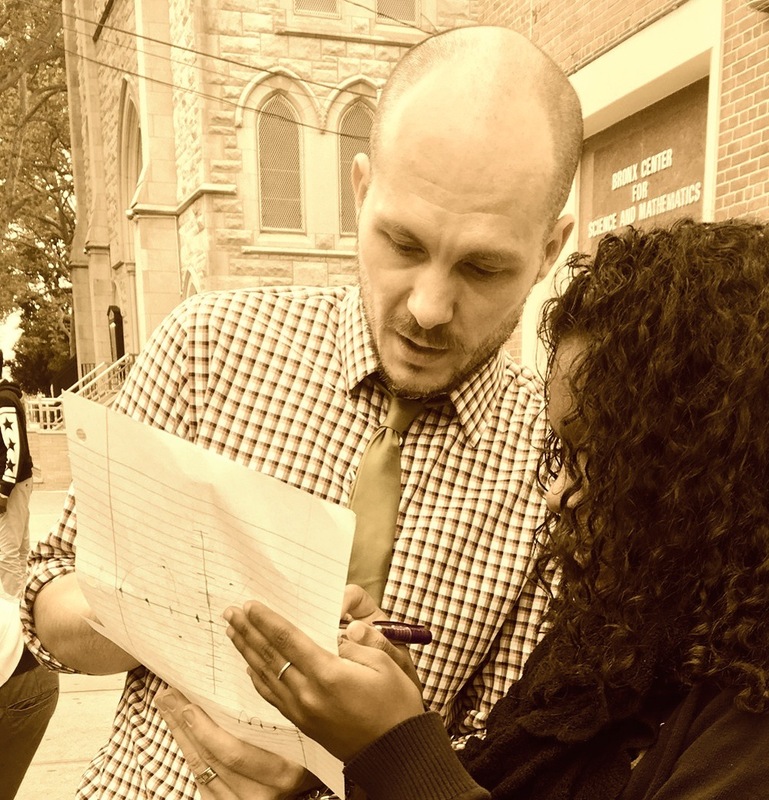 After school I spoke to a physics teacher at my school, Shane Coleman (who these students also have), about the problem to get his scientific opinion. He informed me that it is physically impossible for the lady to have swung as high as 44 meters, unless she was pushed hard, had extra momentum when she left the platform, or pumped her legs on the swing, none of which happened. He told me for the footage in the clip, her kinetic energy would not have exceeded her potential energy. In other words, she wouldn’t have been able to swing higher than her original height; it would have been less and less with every swing. I probably should have known this, because its sort of common sense, but whatever. So then I brought all this back to my Precalc kids and it made for a pretty good discussion while we ironed out the actual solution. Later that day, the students probed even more while in Shane’s class. Awesome. Now here’s my question: have my students, Shane, and I missed something here or is the solution inaccurate? If so, my follow up question is what assumption(s) could we make about the swing that would make the given solution valid? On a slightly different note, isn’t it also interesting that her height is 0 at two different instances, yet she never reaches the ground?